Peppermint is native to southern European coastal planes and is often renowned as nature’s most versatile essential oil. In Greek Mythology, Pluto bequeathed his favorite Nymph, “Mentha” (peppermint), to assure that whoever encountered her would love her. However, despite its Mediterranean origins, scholars have found peppermint oil to be prolific in ancient Chinese, Japanese and Egyptian medicine. Peppermint is a naturally occurring hybrid of the watermint and spearmint plants. The cross-bred lineage of peppermint yields high levels of menthol, which translates to powerful medicinal properties. The essential oil is derived by steam distillation of the peppermint plants aerial leaves. 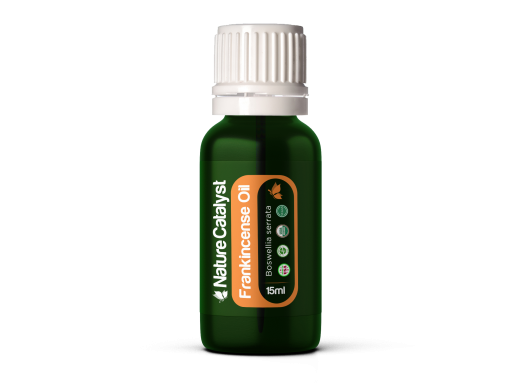 This essential oil has become a key homeopathic remedy for its ability to ease digestive complications and muscle aches/tension. Relieve Digestive Discomfort: Add 2-3 drops essential oil of peppermint to hot water or tea to reduce inflammation and soothe digestive tract. Anti-Nausea: Add a drop of peppermint oil to your drinking water, rub 1-2 drops behind your ears or add desired amount of drops to your diffuser. Freshen Breath: Dissolve desired amount of drops in water and gargle or sip with your favorite beverage. Soothe Muscle Tension: Mix 4-6 drops with salve, cream or body lotion and rub over affected area. Antimicrobial: Add 2-3 drops to a spray bottle of water and use to cleanse surfaces. Boost Energy & Sharpen Focus: Apply to the inside of your wrists and/or temples, diffuse or add to your favorite beverage. Pain-Reliever & Anti-Inflammatory: : For gum aches, mouth sores and tooth pain add 6-8 drops to warm water and gargle. Respiratory & Sinus Care: : Mix with coconut oil and eucalyptus essential oil to make a homeopathic vapor rub to help reduce the symptoms of asthma and bronchitis. INTERNAL: Add to liquid (water, tea etc.) and ingest.